Rendall Technology plans, designs and builds intelligent websites and web applications that deliver solid results. We work to budgets. We work to timelines. We pride ourselves on our ability to stick to both and deliver the absolute maximum under either threshold. 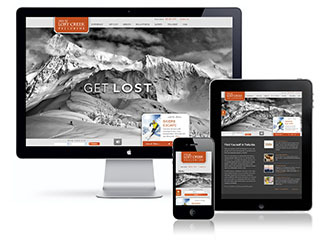 We work together with our clients to develop website solutions to suit both them and their customers needs. We build feature rich applications to keep visitors and customers coming back time after time. Rendall Technology has unmatched development experience on hundreds of websites and e-business developments. Our Web Development Process is a highly-advanced, battle-tested and hyper-efficient method that can deliver a development project at the highest quality level and in the shortest amount of time possible. Regular update and planning sessions keep our clients informed and involved during development. Rendall Technology stays committed through the life of your project, always ready to adjust or adapt your e-business to maximize results over time. We provide service and support where and when you need it most.